[Last updated March 23, 2019] Driven by security concerns and regulatory mandates, most companies now prefer the use of secure file transfer protocols when exchanging data with trading partners. The usual protocol of choice is SFTP. But having to set up SFTP connections, which typically include hostnames/IP addresses, usernames, passwords, client keys, etc. for every single automated transaction can be a pain. With JSCAPE MFT Server, it's possible to reduce the steps you'd normally take in applying SFTP automation to certain business processes. Let's show you how to do that. 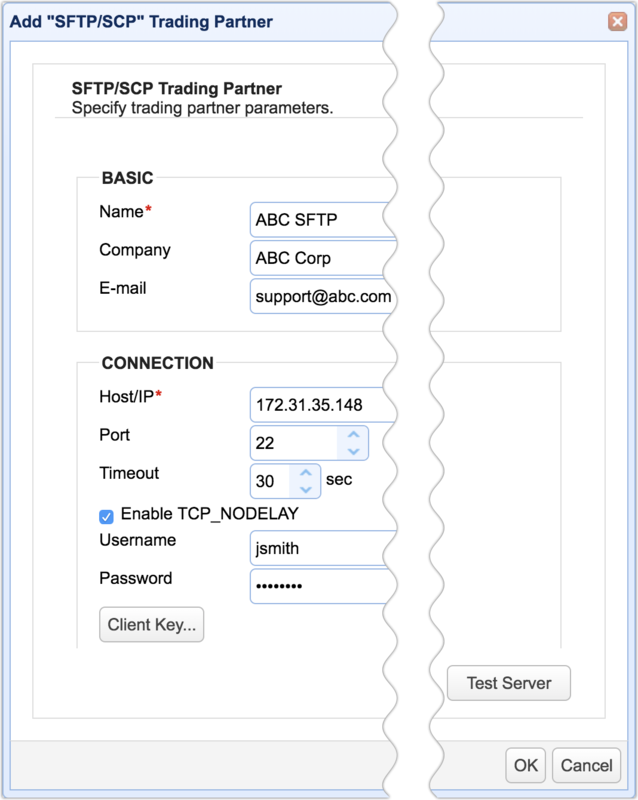 Whenever you establish an SFTP connection with a trading partner, you need to specify a set of credentials that will allow you access to that trading partner's SFTP service. These credentials may include pertinent information such as your trading partner's host/IP address, the port number, username, password, a client key, a host key, and so on. That may not be a problem if you only perform a single task with your trading partner. However, in real-world scenarios, two trading partners will most likely need to engage in several business processes. 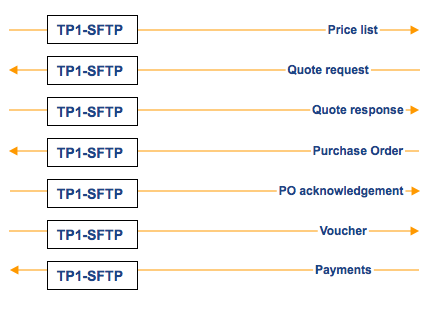 For instance, you might need an SFTP file transfer for transmitting a price list, another for a quote request, another for a quote response, yet another for a purchase order, a voucher, and so on. Even if all these transactions will require the same set of SFTP connection credentials, you'll still need to enter these credentials every time you try to automate a particular transaction. That's when the problems begin. 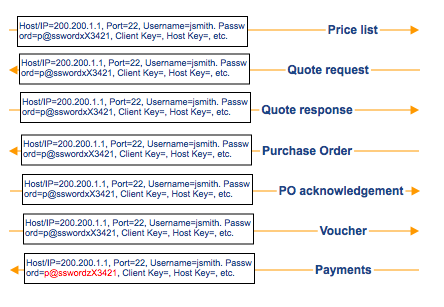 Not only can constant entering of credentials be time consuming, it can also lead to human errors. But that's not all. What if your trading partner later on decides to change any of the credentials? You'll have to go into every single transaction that uses that SFTP connection and change the credentials there. Again, this can be tedious and prone to errors. 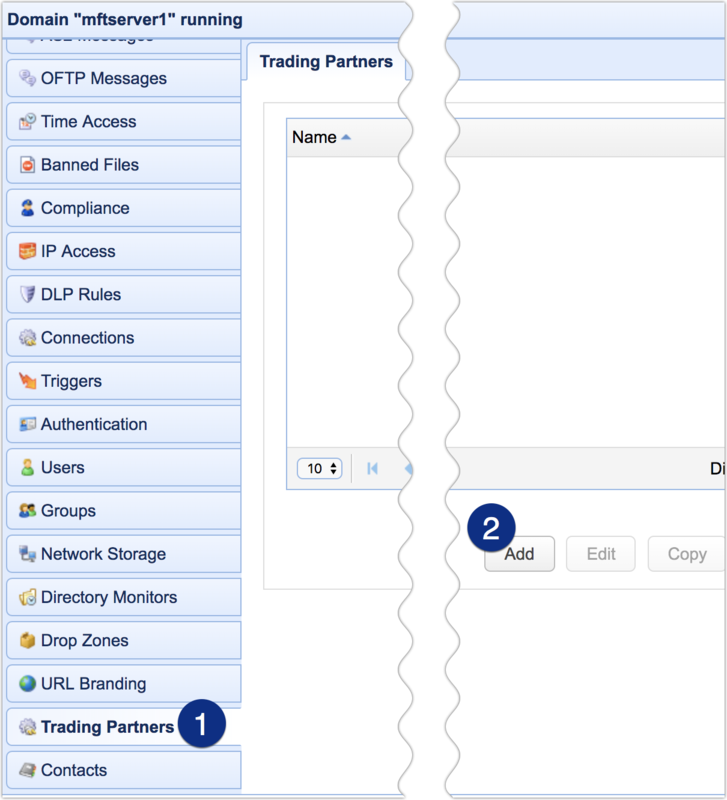 In JSCAPE MFT Server, you can define an entity that's also called a Trading Partner. 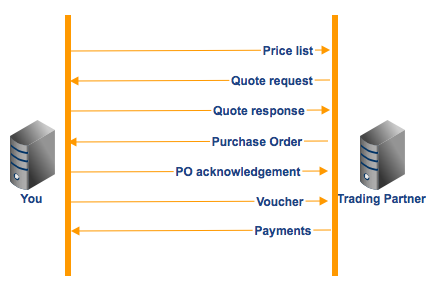 A single Trading Partner can consist of all the necessary attributes for connecting to a trading partner's file transfer service. For instance, a Trading Partner for an SFTP service would again consist of host/IP address, the port number, username, password, a client key, a host key, and so on. The advantage of using Trading Partners is that, every time you set up an automated file transfer that requires the credentials and connection settings you've already assigned to a Trading Partner, you simply call that Trading Partner for the job. 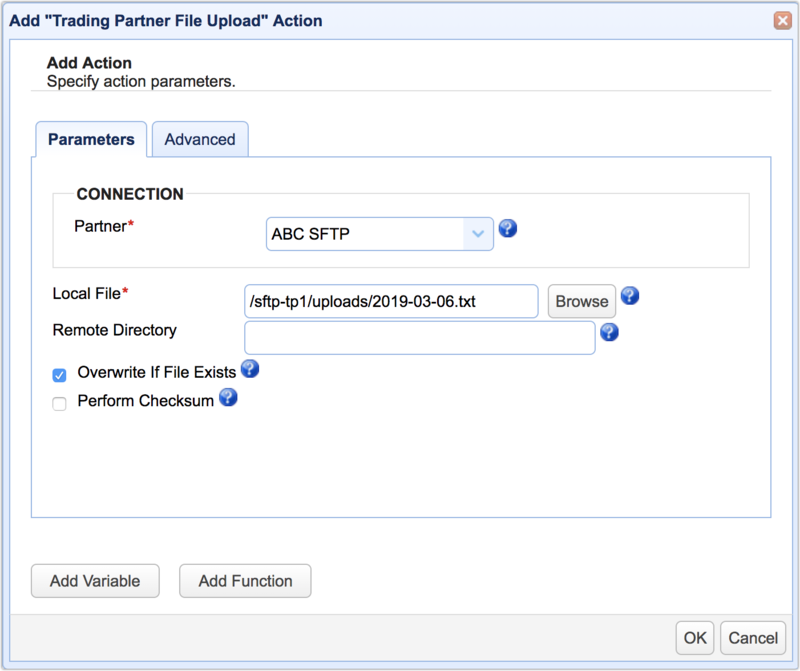 And if your trading partner changes a credential for that particular SFTP service? All you need to do is edit the Trading Partner and enter the credential that was changed. It's done in a single place; not on every transaction. It's simple, fast, and significantly brings down chances of human errors. Does that sound like something you could use? Here's how you do it on JSCAPE MFT Server. Note: I'm going to assume both you and your trading partner already have an SFTP service running on your servers. If you don't have those yet, I suggest you read the post Setting Up An SFTP Service. Launch the JSCAPE MFT Server Manager and go to the Trading Partners module. Click Add to add a new Trading Partner. This is where you specify all parameters pertinent to this particular Trading Partner. 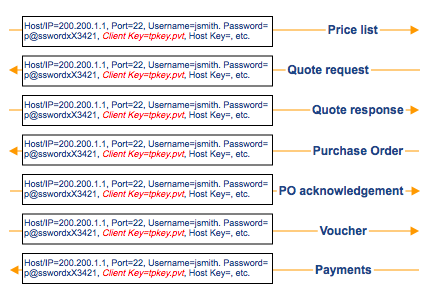 Because this example involves an SFTP connection, notice that you may even strengthen your authentication processes by employing a Client Key and a Host Key. Once you've entered everything you need, click the Test Server to test your connection. If it turns out fine, click the OK button. You should then see your newly created Trading Partner in your list of Trading Partners. Every time you need to test or edit a Trading Partner's connection settings and credentials, just go here. Here's a screenshot showing some of the Trigger Actions where you can use your Trading Partner objects. Trigger Actions are elements of JSCAPE MFT Server's powerful automation-enabling feature known as Triggers. A discussion on Triggers is beyond the scope of this article but it's something you should allocate some time to. We already have an extensive collection of articles on triggers, so just right-click that link, open up a new tab, and discover a powerful way of automating your business processes. In the meantime, let's finish off this post. Here's one of those Trigger Actions, for example. 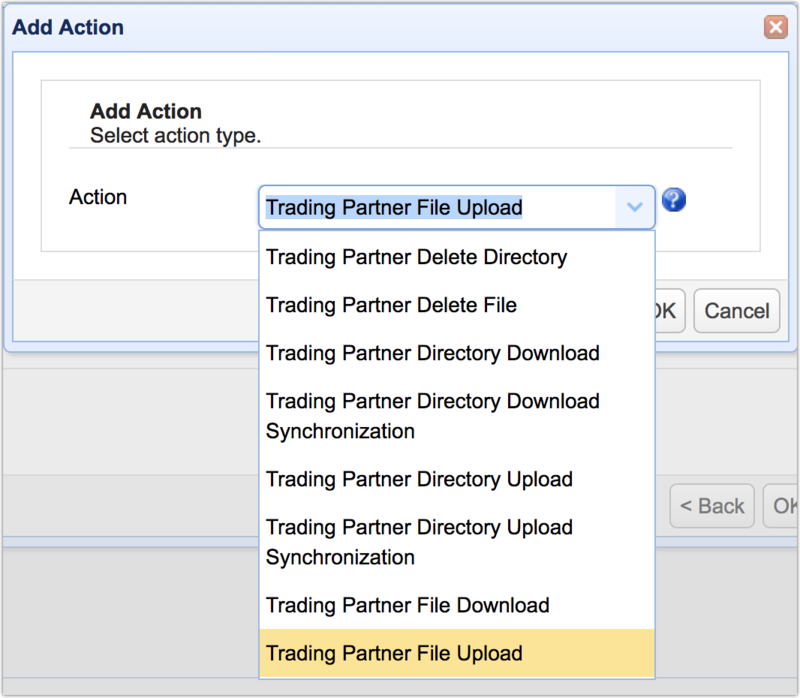 This is the Trading Partner File Upload action, a trigger action that automatically uploads a file to your trading partner's remote directory in response to certain events. 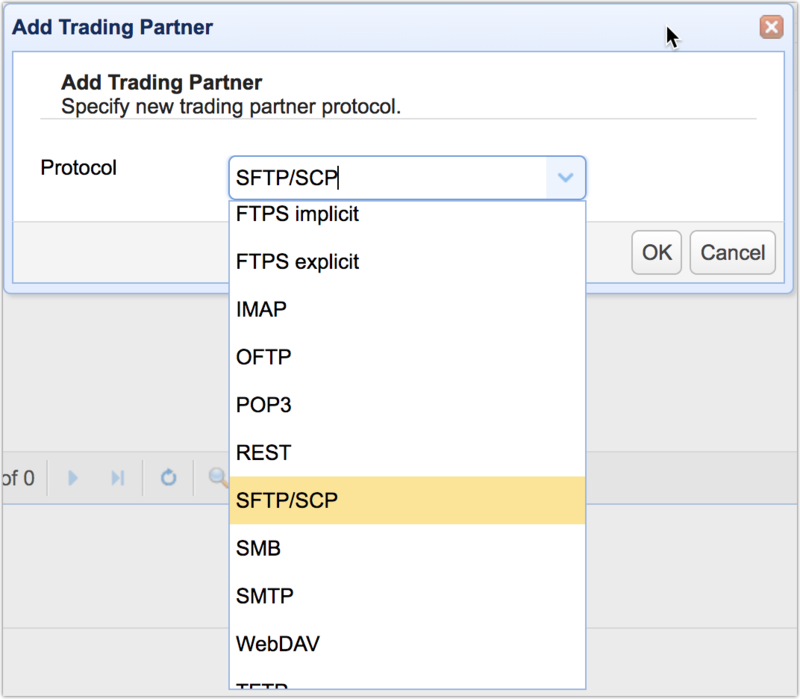 Notice how, in order to specify settings for your SFTP connection, you only need to select the Trading Partner in question from the Partner drop-down list. There's no need to enter IP addresses, usernames, passwords, etc. Imagine just doing this for every single Trigger Action. To try this out yourself, download a free, fully-functional Starter Edition of JSCAPE MFT Server now.